That looks great but I would like to know, does Eric at anytime give a straight up solution to these problems for the homeowner, or does the homeownerr have to, or would the homeowner even be able to deduce how to fix things based on Eric explaining what is wrong? I don't recall what he covered on solutions for a home in the presentation, but it will come down to isolation transformers for starters. I've talked to him about that for my own home and you need to get rid of the metallic connection between your home and the power lines. He does however go through a lot of EMP proofing techniques that comes from the US military manual on dealing with these problems. Grounding, shielding, etc. of course if you built a home from scratch, you could EMP proof it much simpler than retrofitting an existing building. 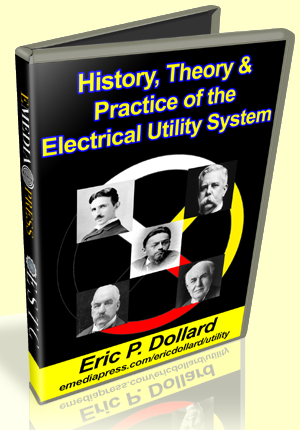 Eric has said in interviews that an isolation transformer is his recommended solution. I know of some electrical engineers who already have them installed at their homes (even though they have never heard of Eric) so it is certainly doable. It would be a standard way to protect one's self. I have an isolation transformer that I was going to use not for my entire home but for my shop to make sure all my equipment (scopes, spectrum analyzer, etc.) have clean power. Also, it requires an adequate grounding rod system that is much more than a single 8 foot rod in the ground. The isolation transformer by itself should protect from the EMP transmission from the power lines, but if the EMP is close enough to you, it could still fry anything right through your walls if they're not shielded properly. Thank you Aaron and Marcus.